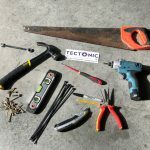 It’s been another extremely busy for the Tectonic team since last year’s Business of the Year awards, more staff training including the 18th edition update that came into force in January 2019, to keep your electrical installations compliant and safe. Our two apprentices Adam & Will are apprentices no more, completing their apprenticeships in May 2018 they are now electrical engineers with Tectonic. Not only have we been busy keeping up with our training we have undergone a large extension project at a nursing home in Hailsham with P & P Building and Renovation which is soon to be completed and started a church hall in Hastings. 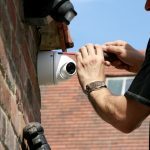 Along with our local Eastbourne customers for electrical and TV aerial & satellite services, we have seen a massive rise in WiFi access points and CCTV installations in 2018 and we look forward to seeing what this year brings. As we have mentioned 2018 was a busy year for the Tectonic team and as we entered 2019 the #bizoftheyear19 soon approached and the competition was on. This year’s competition was certainly a tough one locally and nationally, but as always, with the help of our customers, you helped us win. This year we are super happy to announce that we smashed our category and won Most Loved Electrical Services in the UK with the BestOf. Last year we missed out on this title only slightly, so we were determined to try and win it. And we did. 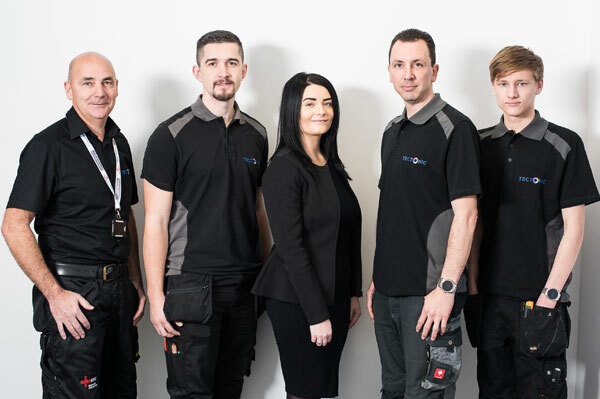 Not only are we the no.1 business for Electrical Services in the UK, but we also came second out of the Most Loved Business in Eastbourne, a category that we won last year and we are happy to pass the baton onto the winners, Southern IT, a well-deserved win. We came joint second with the great Dent Devils, Jon had us running this year that’s for sure and it’s great to be joint second with such a great local business. And if 2 awards weren’t enough, we also managed to be in the top 100 UK businesses for the 2nd year in a row. It’s safe to say that our team really did smash 2018 which we can see from all of the lovely reviews that we received from our customers. Without you, this wouldn’t have been possible. And we know we have said this so many times but thank you so much for taking the time to help support us. As a local Eastbourne business, it really makes a difference to have your support as it helps to keeps us going. We had over 80 reviews received between Feb 2018 to Jan 2019 and we just wanted to share some of our favourites with you, and show you why our customers love to use us. If you would like to help others choosing who they’d like to carry out works in their home or business, the best way that you can help them is by leaving feedback of the service that you have received from the team. There is nothing better than having a recommendation from a friend or a local resident who has used us before. 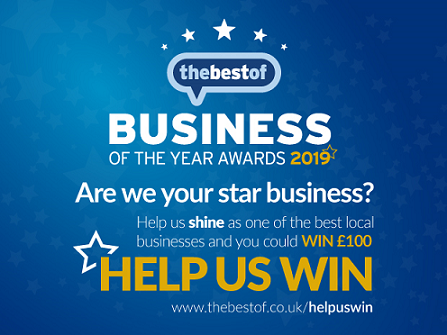 If you would like to leave the team a review you can do this by visiting the BestOf Eastbourne’s website (link below) and leaving your comments there, you can also email us directly so we can submit a review for you. All you will need to do is check your email (and your junk as sometimes they do go in there) for an email from the BestOf and open it, this will verify your review and go live.